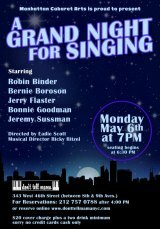 While Haynes and Russo played down any trouble for users in their January timing, parrying with Lublin, what they didn't say in the presence of Board Members and media was that they originally asked Main Street Theatre and Dance Alliance, the Cultural Center's heaviest user, to suggest some 10-Day windows when closing would cause the least harm. Ignoring every date volunteered, RIOC picked a five week closing that didn't include even one of the windows and, without warning, saddled MST&DA with a scramble to reschedule a show already on the calendar. Other regular users had to make their own emergency arrangements. But that, it turned out, was the lesser of dishonesties dished out that night. "RIOC had the Cultural Center tested for mold that developed because of recurring leaks over a period of time. The test results revealed a low-grade, non-harmful, mold located in multiple rooms of the facility," Vice President Haynes told the Roosevelt Islander in response to an inquiry. That was not truthful, but it got worse. According to Prevention magazine, "The truth is, all molds, even nontoxic types such as Chaetomium and Mucor (the ones that colonize your shower), can make you sick. In fact, nontoxic molds are most likely to make you ill, because they're much more common, says mold expert Jay Portnoy, MD, an allergist at Children's Mercy Hospital in Kansas City, MO." The federal Centers for Disease Control agree. Questioned by Nina Lublin at the RIOC subcommittee meeting, Consultant Mike Russo, for whom RIOC pays a whopping $170 per hour, explained that two firms were recruited to test for mold. One, Jet Environmental Testing, is based in Coram on Long island, but the other, Southeast Environmental Microbiology Laboratories, curiously, makes its home in Greenville, South Carolina. "The good news," Russo continues on the Roosevelt Islander's video, "is that it's not a harmful mold." That wasn't true either and, as The Daily discovered in a FOIL request, does not square with reports, although the Coram company, based on "Studies conducted by Dr. Godish at Ball State University," for which there is no further reference or detail, reported, "Indoor spore counts are low and no further recommendations are warranted." The report is odd, though, because it earlier states, "There are no regulatory standards for mold," drawing exclusively on "Dr. Godish" without elaboration or specific reference. Godish's conclusions may very well be contested by others, but RIOC seems not to have looked any further. It also appears that Jet did no testing on their own and drew their own conclusions from testing done by Prime Aire Mold Services. No results, rational or footnotes on that testing are offered. SEEML, which actually did its own testing and contributed a full report, was more circumspect, noting that molds are associated with many health effects that vary between individuals. At no time do they - or any reputable authority - make reference to any kind of not harmful mold. That conclusion seems confined to Haynes and Russo. Altogether six types of mold were discovered in the Ballet Room and seven in the Media Room at 548 Main Street. Of greatest concern and found in both rooms is Stachybotrys. 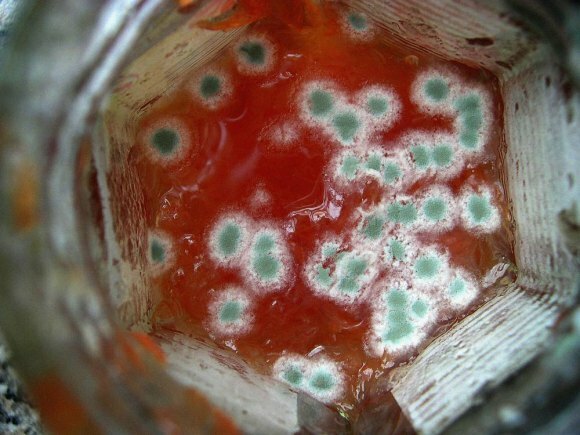 According to moldpedia.com, Stachybotrys is "one of the most infamous toxic molds because it can grow in houses and is extremely dangerous to humans. Stachybotrys is known as a toxic mold because it produces toxins called mycotoxins." According SEEML's own report, "Several strains of this fungus (Stachybotrys ) may produce a trichothecene mycotoxin- Satratoxin H - which is poisonous by inhalation." Another of the molds found in the samples is Penicillium, labeled "dangerous" by legalinfo.com. Not only did Haynes and Russo misrepresent the findings, they never alerted any of the groups, including Main Street Theatre & Dance Alliance which uses the spaces heavily for classes and performances, including many children, that Stachybotrys and Penicillium had been discovered in every room tested. Exposure continued for months without anyone who might be vulnerable being notified because RIOC did not share the information they had. The Cultural Center shut down is expected to end on Monday, although no official announcement has been made. In spite or critical remarks about Urban American, which owns the building, made by Russo and Haynes in the recording, emails also provided in the FOIL response show that Urban American's Doryne Isley had been working with RIOC to curtail leaks since at least October. The Daily has independently confirmed that Urban American will install drip pans that should limit future mold outbreaks. Information for this article was obtained in a FOIL request and provided by RIOC.